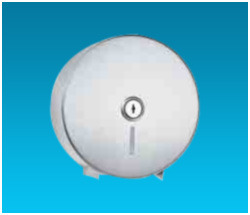 Offering Bobrick Washroom Accessories such as Surface Mounted Soap Dispenser, Recessed Paper Towel Dispenser/Waste Receptacle, Recessed Convertible Paper Towel Dispenser, Recessed Paper Towel Dispenser- Trimline Series, Recessed Paper Towel Dispenser, Recessed Paper Towel Dispenser / Waste Receptacle and many more items from Chennai. 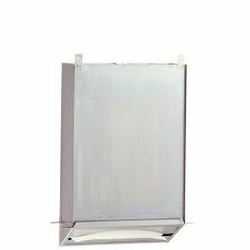 Vertical tank is satin-finish stainless steel. Valve dispenses all-purpose hand soaps. Capacity: 40 fl oz (1.2 L). Soap refill window. Concealed wall fastening. Hinged filler-top requires special key to open. Vandal resistant. Unit 4 3⁄4" W, 8 1⁄8" H (120 x 205mm); wall to push-button, 3 1⁄2" (90mm). 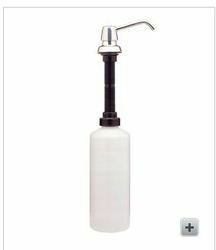 We are offering 2111-79 Sureflo Retrofit Soap Bellow to our clients. Unit includes convertible folded paper towel module and 45.4L waste receptacle module which can be interchanged with a universal touch-free roll towel module and 68.1L waste receptacle module, respectively. Cabinet is not replaced when changing modules. Satin-finish stainless steel. Seamless beveled flange. 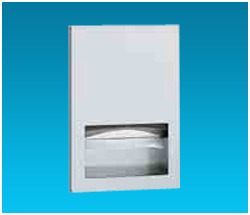 Our offered Recessed Paper Towel Dispenser is designed for changing traffic and usage needs. Its satin finish stainless body enables reduction of finger marks and better cleaning characteristics. Additionally this conveniently dispenses 300 C-fold or 400 multi fold towels that easily manage the traffic of users. 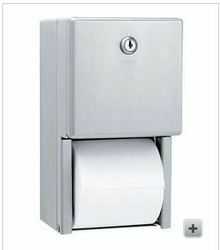 We are offering Recessed Paper Towel Dispenser / Waste Receptacle to our clients. Satin-finish stainless steel. Door has 90 return, conceals flange. 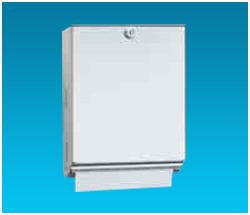 We are offering Recessed Paper Towel Dispenser- Trimline Series to our clients. Satin-finish stainless steel. Door has 90º return, conceals flange. Dispenses 600 C-fold, 800 multifold or 1100 single fold towels. Removable, leak-proof, 24L(6.3gal) waste container. 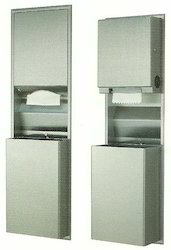 Our offered Recessed Paper Towel Dispenser/Waste Receptacle is a stainless steel make and is secured with tumbler locks for the ultimate blend of style and vandal-resistance. This is designed to dispense 600 C?? ?fold or 800 multi fold towels with a waste receptacle of dependable capacity. Moreover, once the doors are locked, contents and interior areas are hidden and protected. 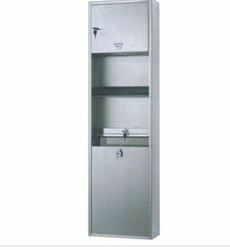 Satin-finish stainless steel unit with stainless steel dispensing mechanism. Door has flat face with protruding tumbler lock. Holds two rolls up to 5 1⁄4" (135mm) diameter (1800 sheets). Extra roll automatically drops in place when bottom roll is depleted. Theft-resistant, heavy-duty spindles. Unit 6 1⁄16" W, 11" H, 5 15⁄16" D (155 x 280 x 150mm). Satin-finish stainless steel. Equipped with spring lock. Spindle holds one 10" (255mm) diameter roll with 3" (75mm) diameter core. Convertible for 2 11/16" (70mm) and 1 5/8" (40mm) diameter core rolls. Powder-coated mounting plate. Slot reveals tissue supply. Unit 10 5/8" W, 10 5/8" H, 4 1/2" D (270 x 270 x 115mm). Universal/Barrier-Free Mtg. Ht. : 29 1/2" (750mm) to top of unit. Rough Wall Opening: 11 1/2" W, 17 1/4" H, 3 oe" min. depth (290 x 440 x 95mm). Av. Mtg. Ht. : 67" (1700mm) to top of unit; Barrier-Free, 52" (1320mm). 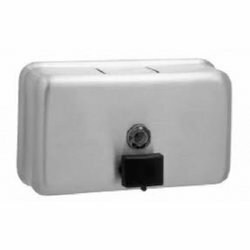 Our offered Recessed Paper Towel Dispenser / Automatic Hand Dryer are a combined unit of a paper towel dispenser, an automatic hand dryer and a waste bin. The waste bin is a removable and leak-proof with dependable accessible height. 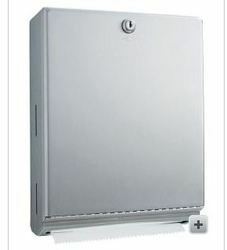 Moreover, this is designed to dispense 450 C-fold, 600 multi fold or 850 single fold towels to manage continuous traffic. Mirror: No. 1 quality, 1/8" (3mm) glass electrolytically copper-plated. Door is 14 1/8" W, 20 1/4" H (360 x 515mm). Unit 3 3/4" (95mm) deep. Av. Mtg. Ht. : 69"(1755mm) to top of unit; Barrier-Free, 60" (1525mm). We are offering Surface Mounted Paper Towel Dispenser to our clients. 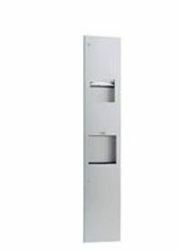 Dispenses 400 C-fold or 525 multifold towels measuring 3 1/8" to 3 13/16" (79–97mm) deep without adjustment or adapters. Door has tumbler lock and piano-hinge. Unit 10 3/4" W, 14" H, 4" D (275 x 355 x 100mm). Av. Mtg. Ht. 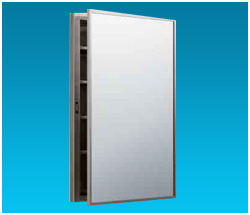 : 66–70" (1675–1780mm) to top of unit; Barrier-Free, 54" (1370mm). 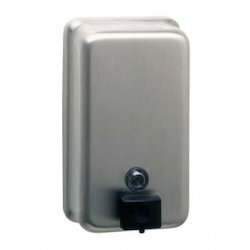 Unit 4 3/4" W, 8 1/8" H (120 x 205mm); wall to pushbutton, 3 1/2" (90mm). Satin-finish stainless steel. Seamless beveled flange. 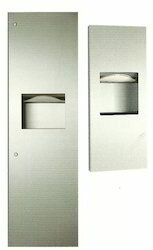 Dispenses 350 C-fold or 475 multifold towels.Knob-latch retains door. Removable waste container has 2-gal. (7.6-L) capacity. Rough Wall Opening: 12 5/8" W, 26 5/8" H, 4" min. depth (320 x 675 x 100mm). Av. Mtg. Ht. : 71" (1805mm) to top of unit; Barrier-Free, 51 1/2" (1310mm). 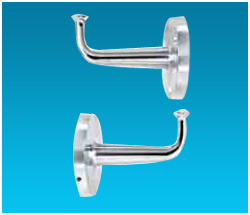 We are offering Surface-Mounted Heavy-Duty Clothes Hook to our clients. 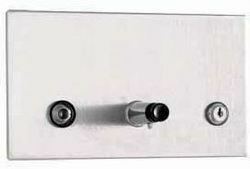 Locks to wall plate with three stainless steel setscrews for theft-resistant mounting. Hook and flange are one-piece brass casting with satin nickel - plated finish to match stainless steel. Withstands 300 lbs (136 kg) down - ward pull. Flange diameter: 2 3/4" (70mm).Unit projects 3 7/16" (85mm). B-211 Similar to B-2116, but with three exposed countersunk mounting screw holes. Satin-finish stainless steel. Door has 90° return, conceals flange. Dispenses 450 C-fold, 600 multifold or 850 single-fold towels. Removable leak-proof, 3.3 gal (12.5L) waste container. 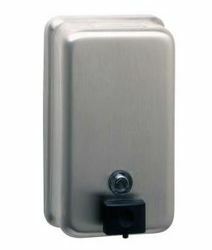 Hand dryer: 220-240V AC, 7 Amp., 1500-1700 Watts, 50/60 Hz, Single Phase. Rough Wall Opening: 13-3/4” x 54-3/8” x 5-3/4” (350 x 1380 x 145mm) recess. We are offering B-2112 Surface Bellow to our clients. Seamless beveled flange. Door has tumbler lock. Self-closing panel covers disposal opening. Removable, leak-proof, 1.2-gal. (4.6-L) plastic receptacle. Rough Wall Opening: 11 1/4" W, 15 5/8" H, 4" min. depth (285 x 395 x 100mm). Universal/Barrier-Free Mtg. Ht. : 31" (785mm) to top of unit. Satin-finish stainless steel. 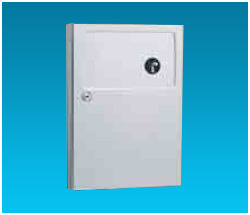 Door: 90° return, conceals flange. Vessel on back of door swings open for filling. Hinge and tumbler lock secure door to cabinet. Capacity: 45fl oz (1.3L). Valve dispenses all-purpose soaps. Soap refill window. Rough Wall Opening: 8 3⁄8" W, 4 3⁄8" H, 3 7⁄8" min. depth (215 x 110 x 100mm)..